The Red Sea off the coast of Egypt is one of the seven wonders of the underwater world. Thanks in part to protected areas like the Daedalus Reef and the Ras Mohammed Marine Reserve, the Red Sea is home to amazing coral reefs and close to 1000 different species of fish. There’s no better way to discover this underwater paradise than with an Egypt liveaboard. Divers in the Red Sea will share the water with pelagic species such as turtles, manta rays, sharks and dolphins. The underwater scenery is equally impressive, with towering walls, steep drop-offs and coral pinnacles. Famous sites include the challenging Dahab blue hole, the Aida II and Numidia shipwrecks and the Anemone City. 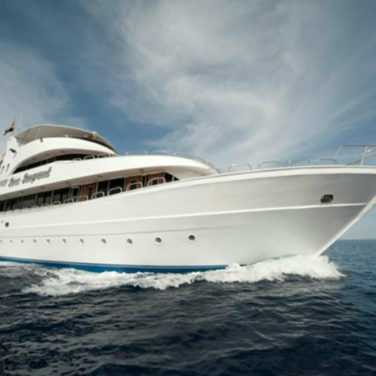 But wherever you choose to go in the Red Sea, an Egypt liveaboard is sure to be a once-in-a-lifetime experience. If you can only get away for a few days, a mini safari aboard the King Snefro 5 is your best bet. These shortened trips visit the most impressive sites in Ras Mohammad, and the nearby Thistlegorm and Dunraven wrecks in just 4 days. You’re guaranteed a night dive, too. Nitrox, facilities for tech and sidemount equipment, and top-rated local guides add value for divers of all skill levels. 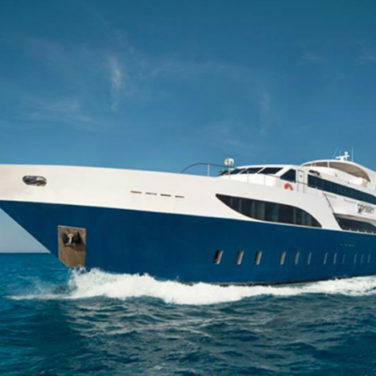 And, with only 10 guests onboard, you can expect plenty of personalized service and uncrowded immersions. 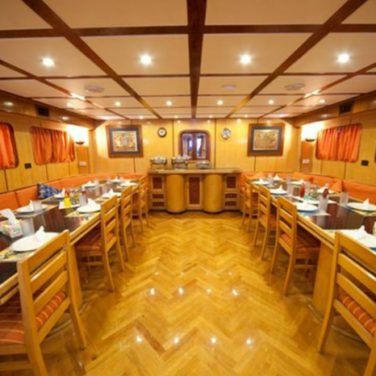 Family style meals and activities make this boat a perfect pick for social divers. Photographers can make the most of their time in Egypt aboard the Royal Evolution. Individual charging points, a large camera table with a blow dryer, and indoor photography room make equipment care a breeze. Cabins have extra outlets too, so you’ll never run out of power. 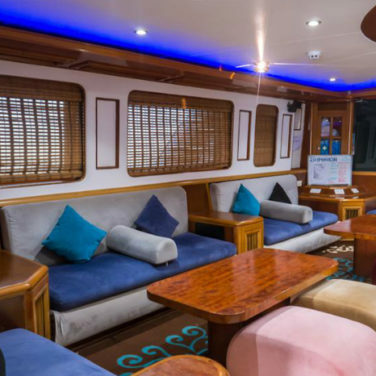 This boat also features specialized itineraries tailor-made for photography. Popular choices include the tech-friendly “wrecks only” trip, and 13 day “best of the south” itinerary which includes sites in both Egypt and Sudan. 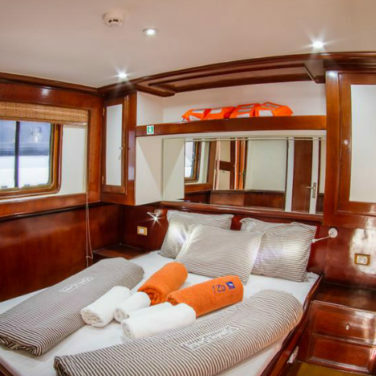 Guests can expect plenty of luxuries on this liveaboard too, like suite-style cabins, an on-deck jacuzzi, and free wine with dinner. 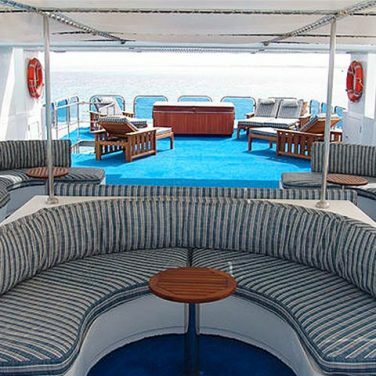 The Red Sea is an affordable destination all around, but budget travelers can take their trip to the next level aboard the Sea Serpent. 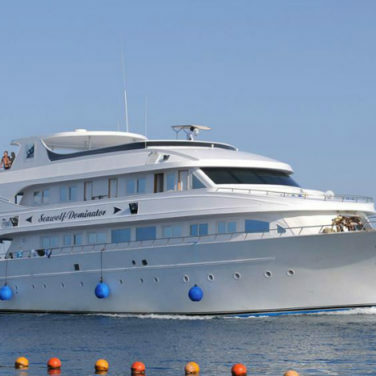 This boat offers a variety of 8 day itineraries in Egypt’s north, central, and southern coasts at an unbeatable price. 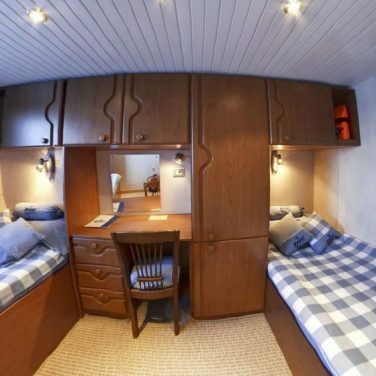 And, it’s one of the best-rated liveaboards in the region, too! Diver-friendly perks onboard include free Nitrox, and facilities for tech and rebreather equipment. 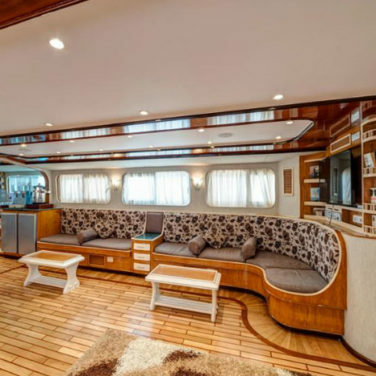 Guests who prefer a few more creature comforts can take advantage of spacious cabins and common spaces, free internet, and an extensive beer and wine list. With so many incredible places to dive in Egypt, 8 days might not feel like enough time. Extended itineraries aboard the Seawolf Dominator spend 12 days at sea. 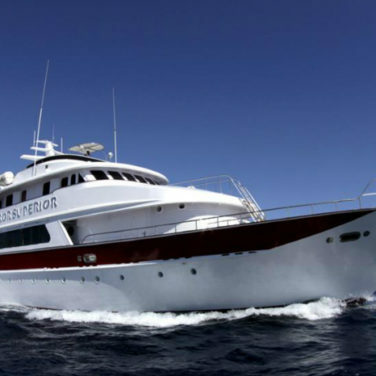 These trips visit the very best north, central, or southern reefs and wrecks, spending 2 to 3 days at the hottest spots. This boat is a favorite for experienced divers thanks to its spacious dive deck, individual gear storage, free Nitrox, and camera facilities. You can expect plenty of onboard luxury, too. Suite style cabins, free internet, and spacious common areas make it easy to relax between immersions. If you’re traveling with non-divers, it’s important to keep them comfortable while you blow bubbles. 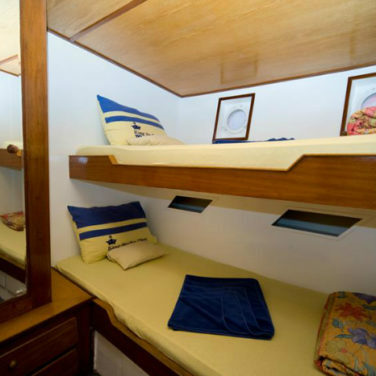 The Emperor Superior offers a balanced liveaboard experience with plenty of perks for both divers and land lovers. Scuba fanatics will enjoy 3 to 4 tanks a day, free Nitrox, and the choice to dive guided or independently with a buddy. This boat is camera, tech, and rebreather friendly, too. 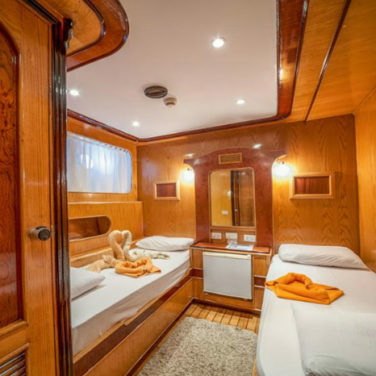 Those staying aboard can spend their days relaxing in this boat’s spacious cabins and common areas. Free internet, top-rated dining, and snorkeling opportunities will add value to their trip. When it comes to diving in Egypt, you don’t have to choose between luxury and excellent diving facilities. 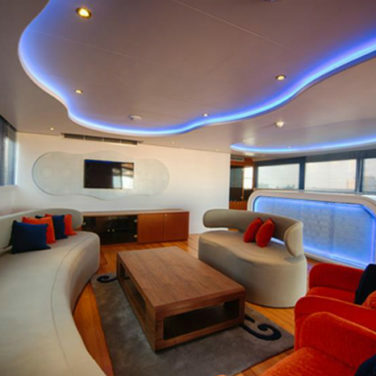 This boat’s modern decor feels more like a hotel at sea than a liveaboard. 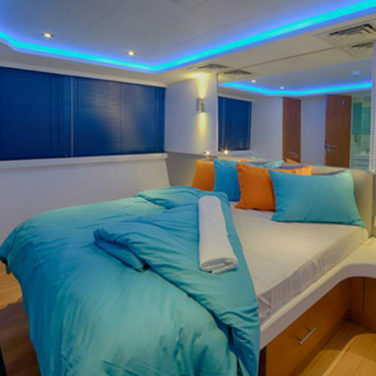 And, standard cabins on the Odyssey are just as nice as some suites in the region. Each includes a bathroom complete with a tub, reading lights, and tons of extra storage. 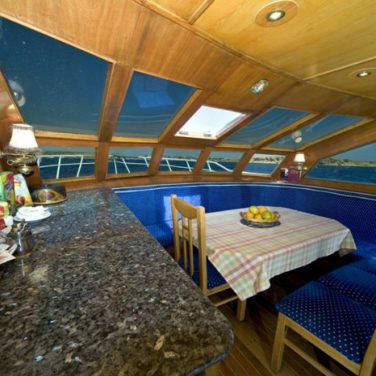 The top decks have plenty of space in the sun or shade to relax between dives and a jacuzzi. 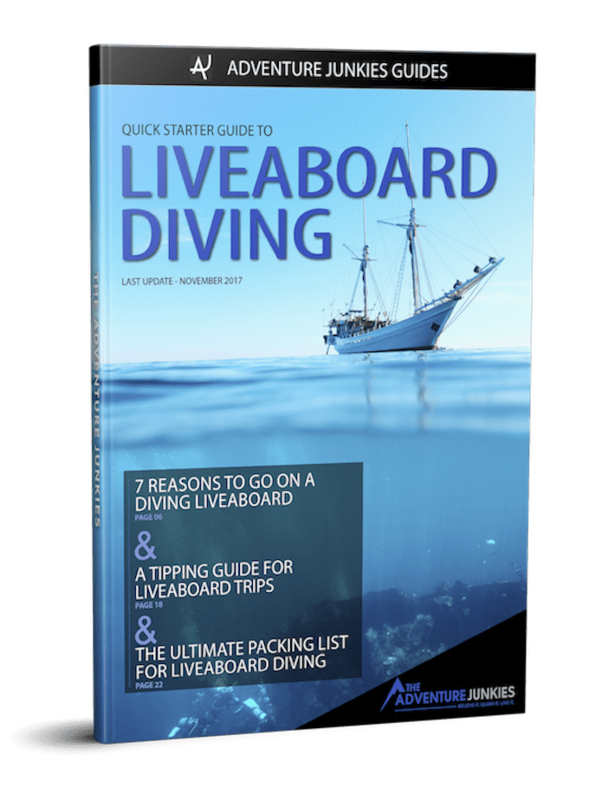 Individual gear stations, free Nitrox, and the ability to dive unguided with a buddy make this a top pick for experienced divers, too. Intermediate. No matter what level of skill and certification you carry, you’ll love diving in Egypt! 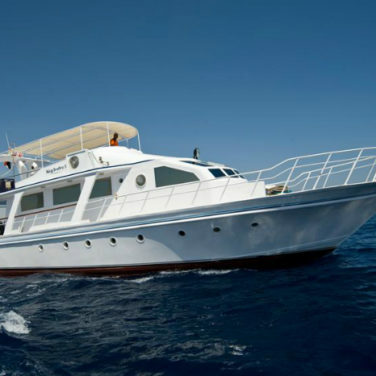 First-time liveaboard divers and newbies will enjoy the Northern Sinai’s tranquil reefs. Those with more experience may prefer the central or southern coast’s challenging sites. And, techies can get their adrenaline fix going deep in Dahab, or penetrating the region’s shipwrecks. 4 to 12 days. Egypt has so many diving areas to choose from that it’s impossible to see everything in one trip. You can explore easy to reach places like Ras Mohammad in just a few days. But, remote destinations, especially in the far south, take at least 8 days to experience. If you have the time and budget, consider a longer itinerary that combines multiple regions. Egypt is a year-round liveaboard destination. But, most divers agree that the months between May and October are the best time to visit. You’ll have the best chances of spotting whale sharks, mantas, and hammerheads during these months. And, the water is at its warmest and most comfortable. Though, wintertime is better for spotting thresher sharks. And, temperatures above water are much more comfortable. The weather in Egypt changes dramatically by the season. Water temperatures range from 69 to 86° F (21 to 30° C) with February being the coldest month. You’ll be fine in a shorty during summer months, but most divers prefer a 5 or 7mm full suit during winter. If you are planning on wreck penetration, pack a full suit for extra protection. The visibility in Egypt is generally excellent. Even during warmer months when plankton is blooming, the water in most areas remains crystal clear. This makes the Red Sea an all-time favorite destination for wide-angle underwater photographers. You can expect 49 to 131 feet (15 to 40 meters) depending on the region and season. One of the best parts of diving in Egypt is a chance to explore the region’s endless diversity. Whether your liveaboard visits the north, central coast, or south, you’ll have an entirely different experience. But, no matter which part of the country you dive in, you can expect crystal clear water, stunning biodiversity, and plenty of big fish. The Northern Sinai is an excellent destination for newly certified divers. 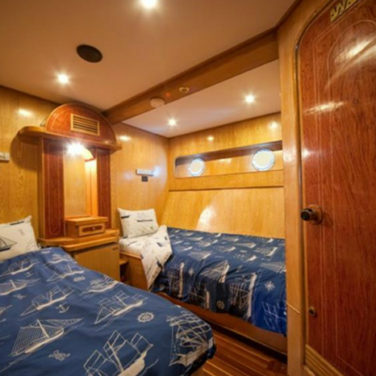 And, it’s a great pick for your first liveaboard vacation. The calm waters in Ras Mohammad are a perfect place to practice. This marine park is one of Egypt’s most popular photo destinations, too. Nearby, the more challenging sites around Tiran are good for building confidence and honing your drift diving skills. Who knows, you might even spot a hammerhead cruising in the current! The north has plenty to offer experienced divers, as well. Dahab is home to world-famous technical sites like The Blue Hole. And, the Thistlegorm and Dunraven shipwrecks offer up some of the planet’s best opportunities for wreck penetration. Egypt’s central coast is a dream destination for experienced divers and underwater naturalists. The Brothers, Elphinstone, and Daedalus are famous for up close and personal encounters with sharks and manta rays. And, they’re great for drift diving. If exploring cleaning stations, swimming with sharks, and taking a wild ride in the region’s powerful currents isn’t enough adventure for you, don’t worry. The central coast has plenty of technical diving, spooky shipwrecks, and plunging walls, sure to keep your adrenaline pumping. The far south is home to Egypt’s most pristine and remote diving, far removed from the tourist crowds. Here, you’ll find some of the Red Sea’s most impressive reefs, perfect for underwater photography. The colorful gardens of hard and soft coral around Zabargad, St. John’s, and the Fury Shoals support an incredible variety of marine life. Schooling reef fish, turtles, sharks, and rays call these waters home. But, the south has a wild side, too. High-speed drift dives will carry you past cleaning stations, canyons, and pinnacles. Or, sweep you along vertical coral encrusted walls. If you’re looking for a rush, this region won’t disappoint. Your best chances to see whale sharks in Egypt are around Ras Mohammad, Daedalus, and Elphinstone. Sightings peak between May and October when blooming plankton attracts the sharks to feed. But, lucky divers encounter these oceanic giants all year round. The sharks are usually spotted from above water, so keep a lookout during surface intervals. Just like the region’s whale sharks, manta rays gather here during warm summer months to feast on plankton. You are most likely to spot these aquatic acrobats in the north. But, they do frequent the central and southern coast cleaning stations, too. No matter where you dive in Egypt, keep one eye out in the blue. You never know when a manta might pass by! Whether you’re diving in north, central, or southern Egypt, you’ll need a sharp eye and a bit of luck to spot a hammerhead. The sharks are present all year, but sightings peak during summer months. As water temperatures rise, so does the thermocline. This draws the hammerheads closer to the surface and makes them easier for divers to encounter. Egypt is home to some of the planet’s most notorious shipwrecks, including the Thistlegorm and the Salem Express. Opportunities for technical diving and wreck penetration are endless in the region. But, these advanced and adventurous dives are best left to those with experience. You should never enter a wreck or exceed the recreational diving limit unless you are trained to do so. Egypt’s central and southern coasts are home to some of the fastest moving water in the Red Sea. So, drift diving in this region is not for beginners. Thrill seekers and adrenaline junkies can enjoy a full-throttle adventure topping out at over 2 knots. Expect to see sharks, mantas, and a stunning landscape of vertical walls, canyons, and channels. With so many liveaboard options available in Egypt, choosing an itinerary might be the hardest part of planning your trip. Whether you’re interested in relaxed reef diving, high-speed drifts, wrecks, or tech, you’ve chosen the right region. And, you don’t have to plan an extended trip to enjoy world-class diving in the Red Sea. With just a few short days on vacation, you can experience some of the world’s best sites. Of course, if you have time to spare, there is no such thing as too many dive days here. Classic itineraries in Egypt focus on one or two diving areas. You can expect to spend anywhere between 5 and 8 days on your liveaboard, depending on which part of the country you prefer to explore. Dive sites in the north are closer to port, so most “mini-safaris” and 5 to 6 day trips visit Ras Mohammad and Tiran. As you head south, the sites become more remote and take more time to reach. Keep in mind that voyages in the far south will require a day of transit going to and from the diving areas. So, an 8 day trip will deliver 6 days underwater. If you’re hoping to explore Egypt’s most famous wrecks, consider skipping the reefs altogether. Specialized itineraries visit the hottest wreckage in the region, spending multiple days at each site. This allows plenty of time for penetration and exploration at technical depths. And, gives photographers more than one chance at capturing the perfect shot. 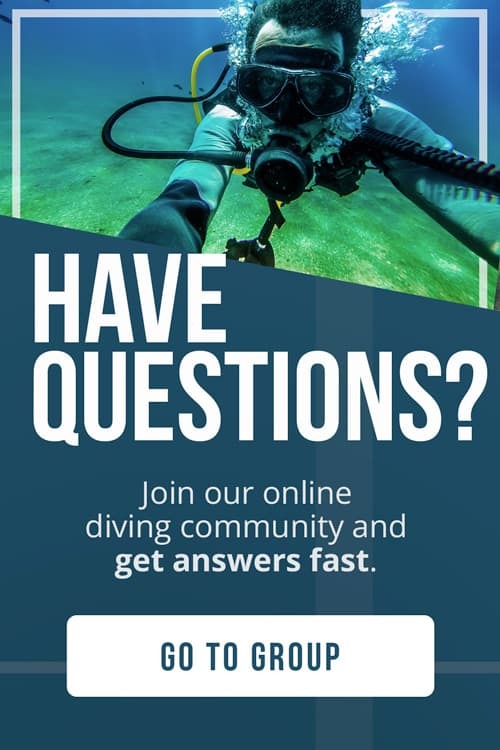 Keep in mind that these trips are for advanced and tech divers only, and cater to gas blending, rebreathers, and sidemount setups. These voyages do not offer certification in most cases, so you’ll need all your credentials to join. 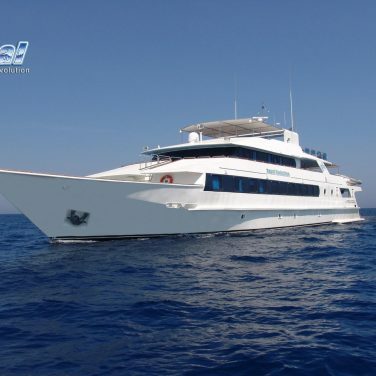 With 10 to 12 days at sea, extended itineraries visit the very best diving areas in Egypt. The most exciting voyages cruise through all the central and southern coast including The Brothers, Daedalus, Fury Shoals, and St. John’s; plus highlights from the north. If you can get away for long enough, these longer trips offer the region’s best value. But, keep in mind that you’ll be diving a variety of sites suited for all skill levels. Most operators require advanced certification and 50 logged dives. round Dahab, be sure that your qualifications and comfort level are up to the challenge. You should never enter a full overhead environment like a cave or sunken ship unless you are trained to do so. Ras Mohamed is Egypt’s most dived marine park, and for a good reason. Thanks to decades of protection from fishing, these waters are some of the most prolific in the Red Sea. You can spot hundreds of fish and macro species on every dive at top sites like Shark Reef and Yolanda. These steep walls are a great place to come face to face with passing pelagics, too. Whale sharks, manta rays, and even hammerheads cruise by out in the blue. All northern itineraries stop here for at least two days. So, you can expect plenty of tanks in this diver’s paradise. Known for strong currents, wall diving, and incredible fish life, the reefs of Tiran are a favorite for advanced divers in Egypt’s north. Every liveaboard in the region pays a visit to the four most famous sites; Jackson, Woodhouse, Thomas, and Gordon. These colorful coral plateaus are known for encounters with large pelagics, especially hammerheads. Between July and September, you’ll encounter these graceful predators patrolling the reef’s edge. Schooling jacks and barracuda, rays, and even the occasional tiger shark will pass by here. So, you should keep a close watch on the blue, especially during safety stops. The wreck of the Thistlegorm is one of the planet’s most famous. Because she sunk with her cargo of wartime supplies intact, she is a favorite for underwater photographers. Unique artifacts found here include armored cars, tanks, trucks, boots, and heavy artillery. Most notably, a parked motorcycle still sits upright in the hold. If you don’t plan on penetrating, there is still plenty to see on the wreck’s exterior. A massive blast hole where the German long-range bomb struck reveals the extent of damage done to her hull. The stern guns still stand at attention, and the deck is littered with artillery. The Dunraven shipwreck is much less crowded than the Thistlegorm and better suited to Open Water divers thanks to her shallow depth. She is broken into 2 pieces lying almost completely upside down. And, her impressive coral cover and macro make external exploration a good option for underwater photographers. Meanwhile, the ship’s interior is empty and cavernous. This setting is perfect for wreck specialty training dives! Other attractions at this site include a large brass propeller, coal boilers, and funnel. Keep watch in open water during descent and ascent, as lucky divers might spot mantas passing by in the blue. Thanks to their remote location, the Brothers Islands are only visited by liveaboards. These isolated reefs are home to a stunning variety of wildlife, from minuscule macro to megafauna. But, the main attraction in this area is sharks. Expect to spot silvertips and grey reef sharks on every dive in the region. Great hammerheads, threshers, and oceanic whitetips live here, too. Though, you are much more likely to see these shy species out in open water. Photographers should plan for macro, wide-angle, and video if possible. Excellent visibility and a colorful backdrop of coral make it easy to get great shots here. The twin shipwrecks of the Aida and the Numidia are highlights for all liveaboards visiting the Brothers Islands. The Aida’s hull begins around 100 feet (30 meters). This site is famous for penetration thanks to an impressive engine room. Massive groupers lurk in the shadows, adding to the thrill of internal exploration. The Numidia is appropriate for divers of all levels, as some of her bow is lying in very shallow water. The stern section is well beyond recreational diving limits, reaching 300 feet (90 meters) at its deepest point. Shallow penetration routes on this site make it popular for specialty training and courses. The remote marine park of Daedalus, 50 miles (80 kilometers) of the coast of Marsa Alam, is one of the best-protected areas on the central coast. The coral here is in pristine condition and hosts an impressive variety of marine life. Thanks to plunging vertical walls and strong currents, this region is best left for experienced divers. But, those who venture to the park’s remote and challenging sites will be rewarded. Hammerheads, thresher sharks, mantas, and whale sharks frequent these waters. Though you’ll have plenty of chances to shoot the small stuff, photographers should plan for a wide-angle adventure. Elphinstone is famous for its sharks. Every boat in the region visits this reef, and some extended itineraries push it to the max with multiple days here. This gives divers plenty of chances to swim alongside hammerheads, threshers, and oceanic whitetips. If sharks are the focus of your trip, choose an expedition between October and December. 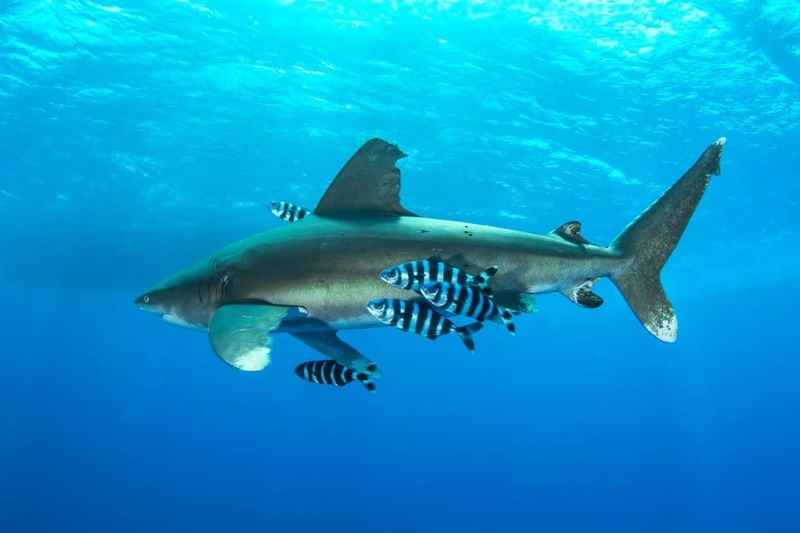 Lucky groups visiting around this time can spot and snorkel with oceanic whitetips on the surface in open water. This is the perfect opportunity for an up-close encounter and photo session. During summer months, manta rays and whale sharks gather in this area to feed on blooming plankton. While most shipwrecks have a dark history, few are as tragic as the Salem Express. She ran aground and sank in 1991, claiming hundreds of lives. Dives here focus on the ship’s history, and the artifacts left behind by those who perished. Unused lifeboats, still lashed to the deck are a spooky reminder of how many perished. Everyday items like briefcases, televisions, bicycles, and purses litter the seabed and decks. Penetration reveals piles of clothing, luggage, mattresses, and other personal belongings. Many of the ship’s internal sections have been sealed off out of respect, as they contain human remains. The marine park around Zabargad is home to some of the most impressive reefs in the Red Sea. Sheltered sites like Turtle Bay have beautiful shallow coral gardens perfect for underwater photography. And, they feature good natural lighting and excellent visibility. Green and hawksbill sea turtles nest on the beaches here, so expect to see them on nearly every dive. Outside Zabargad’s protected coves, the landscape transforms into a steep wall dotted with cleaning stations. Fast moving currents make this area perfect for drift diving. Keep an eye out for sharks and mantas waiting motionless for their turn to get cleaned, and cruising out in the blue. Some of the finest diving in Egypt’s far south is found in the Fury Shoals. And, this stunning region has a variety of sites suited to divers of all skill levels. Whether you’re looking for relaxed reef dives, photo opportunities, or adrenaline-pumping drifts, you’ll find it here. You can expect to see jacks, barracuda, and batfish schooling on the reef’s edge. And, macro hunters will discover colorful nudibranchs, crabs, and shrimp hiding in the coral. Most liveaboards spend at least 2 days in the area, so divers can experience a little bit of everything the Fury Shoals have to offer. Rocky Island is another diverse southern Red Sea destination. All liveaboards in the region stop at the island’s eastern coast, usually for 2 to 3 tanks. Early morning dives on this wall are action-packed drifts featuring large schools of pelagics, and plenty of shark action. The island’s south side is perfect for a relaxed cruise on the reef. The coral gardens in this protected area are exquisite, and plenty of small caverns and overhangs create a haven for macro. You’ll see big fish on the south side too, with reef sharks and barracuda patrolling the dropoff in search of an easy meal. The reefs of St. John’s are the healthiest in all of Egypt. 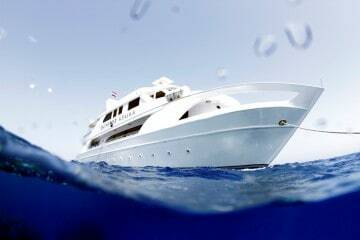 And, the abundance of marine life found here is sure to impress even the most veteran liveaboard divers. 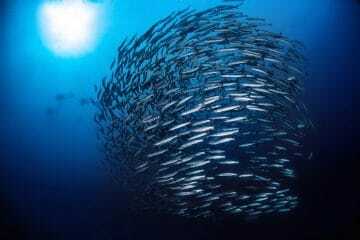 You can expect to see colorful fish schooling by the thousands, reef and pelagic sharks, and even manta rays. A closer inspection of the coral will reveal nudibranchs, crabs, and shrimp of all kinds. Every southern itinerary stops at this island, but you’ll want as much time as possible in this underwater paradise. The Red Sea’s most impressive visibility, warm water, and no tourist crowds make this some of Egypt’s very best diving.